The strength of the Rotary Club of Tupelo can be seen in the leadership team. Officers and board members for 2017-18 include, back row from left, Robby Parman, Sergeant At Arms; Gerald Wages, Board Member; Raymond Jourdan, Board Member; Jeff Tomlinson, Secretary; front row from left, Greg Pirkle, Board Member; Janice Trawick, Executive Secretary; Jenny Jones, President; Amanda Angle, Treasurer and Len Blanton, Vice President. Not pictured: Tom Booth, Immediate Past President; and Jim Denton, Board Member. Here is why we exist . . . . 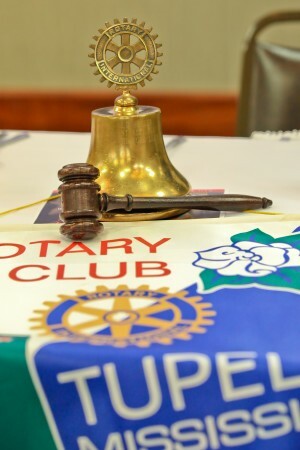 The Tupelo Rotary Club is a chartered club of Rotary International, and was formed in 1925. The club is comprised of approximately 130 business and civic leaders from throughout Tupelo and Greater Lee County. Our club meets each Monday at noon at the Summit Center on North Gloster Street in Tupelo. You, too, can make a difference in your community and world. To join Rotary, see any club member or leader for more information. 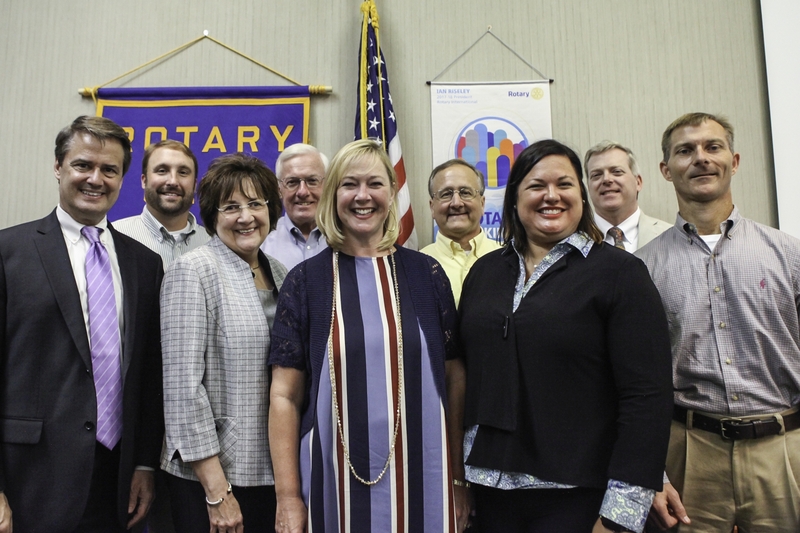 Now, you can give back not only to the community, but also to the world through the Rotary Club of Tupelo. Are you interested in being someone who will lead the way in Tupelo and Northeast Mississippi? If so, we'd love to have you become a part of our club. Simply talk to any of our members, or come to our club meetings for more information. Our club meets at noon every Monday at The Summit Center on North Gloster Street in Tupelo.